Heartworms are one of the most important things every pet owner needs to be on the lookout for. However, in order to know when your pet has a heartworm issue, it’s important to understand where they come from and what their symptoms are. With that in mind, we’re going to dig into what heartworms are, what symptoms they cause, and how to treat them. If you think your pet might have heartworms, bring them to Metropolitan Animal Specialty Hospital here in Beverly Hills. 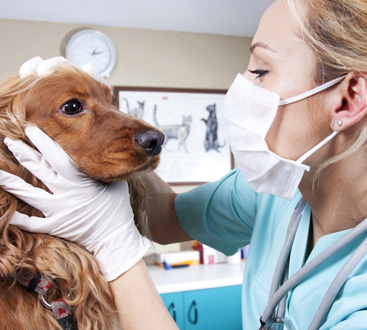 We’ll get your furry friend back to good health. -How do pets get heartworms? Heartworms, also known by their technical name of Dirofilaria Immitis, is spread from animal to animal by infected mosquitoes. When a mosquito bites and begins to feed, it passes heartworm larvae into the tissue of their meal. Once heartworm larvae are inside the body, it will move through the tissue, arriving at the blood vessels around two months later. It takes the blood vessels to travel to the heart, where it prefers to live. As it is in the heart, the larvae will slowly grow and mature into adult heartworms. -What are the symptoms of heartworm infection? If the animal is already unwell, they might be in the midst of heart failure. If this is the case, they have to be stabilized so they can handle the treatment they’re about to undergo. Heartworms come with a bacteria which is released when they die. Antibiotics will be needed in addition to killing the heartworms. Heartworm larvae have a two-month phase where medicine can’t treat them. Stabilizing any heart failure that has come as a result of heartworm damage. Beginning preventative treatment to kill heartworm larvae before they’re able to mature. Waiting through the two-month phase when larvae are not affected by medicine. A four-week course of antibiotics to protect organs against bacteria in the bloodstream. Steroids are given as an anti-inflammatory, protecting against allergic reactions to dead or dying worms in the blood. Begin a drug that kills adult worms. The final step of treatment. Heartworms are frustrating and complicated to deal with, but treatment is possible. If you have noticed symptoms of a heartworm infection, it is imperative you reach out to your vet as soon as possible to begin treatment. If you’re in the Beverly Hills area, call Metropolitan Animal Specialty Hospital. 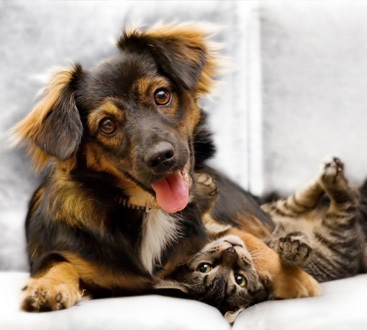 We’re here to help you and your furry friend live a happy and healthy life!